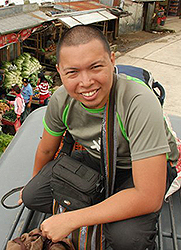 Background: Raffy hails from the City of Pines, graduating from the well-regarded St. Louis University of Baguio. Raffy is married with one kid (and one wife as far as we know J). He tags his nuclear family along to races as much as possible. 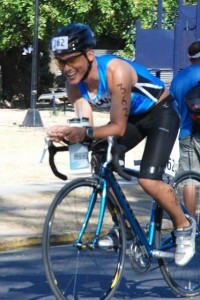 As an age grouper, Raffy is what fellow triathletes would consider as “batak”. He achieves that state by embracing his sport with passion. For him, passion is the degree of difficulty he is willing to go through to achieve his goal. 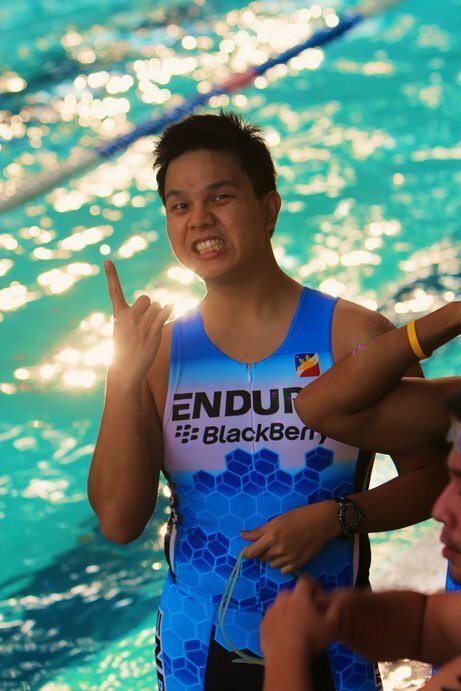 Raffy displays that passion in multisport by riding off with the stronger team cyclists, diligently attending and doing drills during his Wednesday running group sessions, spending hours in the condo pool, and mastering shorter races first before going long-distance. 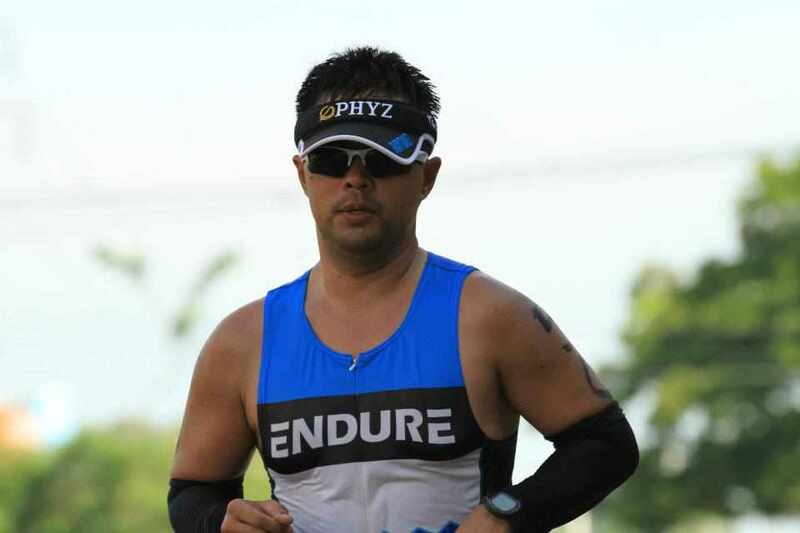 Background: Melvin Punsalang Pangan is one of only two ultra-distance runners in the team, having run ultra-distance races from 50km up to 102km. Unlike his famous actor-lookalike who is into women twice his age, Melvin is married to a much younger woman and is blessed with two kids.Old enough to have watched the first Rocky movie at the theater, his first love is actually tennis. He gave up his dreams of being the next Roger Federer when he got hooked by the triathlon bug. A graduate of the best school in the country, Melvin is cultured and refined hence loves imported wines and cheeses. In fact he works for a company that distributes imported cheeses. 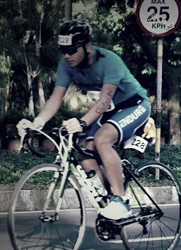 Background: oel Ramos is a 30-year-old triathlete who lives in Cagayan de Oro City. Friends fondly call him Drey. Joel took his Business Management & Entrepreneurship in San Beda and Gemology in Gemological Institute of America in New York. He manages a demanding career as the General Manager of JCTSP Realty Corp.Joel was a varsity football player in his high school years and a rowing varsity team member in college. 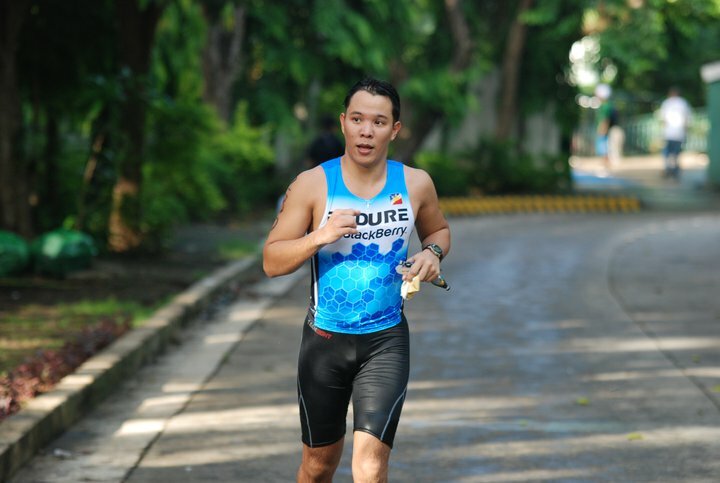 He got into triathlon in 2009 when a testimony of Pastor Ferdie Cabiling inspired him to reach for his old time dream, that is, to learn how to swim and become a triathlete. He draws his inspiration from God, Family and his Endure Team. Background: Mikes Sarandona --- "discomfort is temporary" Mikes is one of the pillars of the team, and that is being literal. Standing a few shades under 6 feet, his initial reservations about doing triathlons was that his weight may be a disadvantage. 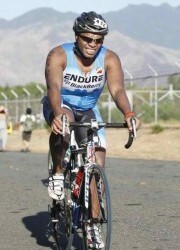 But with a lot of hard work, particularly on the run, Mikes has proven that this sport does not discriminate in size. 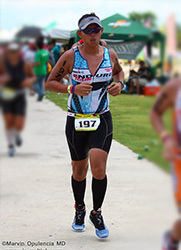 In fact, after just a year of being into the sport, he has lost a lot of weight and has significantly burned a huge amount of body fat into muscle mass.Like most people who are into multisport, Mike uses triathlon as a venue for channeling stress. He currently works as an account manager for one of the bigger BPO firms in the country. When he is training for a major event, he averages 8-training hours per week. On regular occasions though, he works out 6 hours a week to keep fit, alternating the disciplines in triathlon. Mikes is first and foremost a runner, and confesses that he still has a lot of room for improvement in swimming. His secret to improving in triathlon is rooted in 3 things: taking each day at a time, reading about the technical side of the sport to avoid injuries, and most importantly, giving the body time to recover by having enough rest and sleep. Background: It was the last 2 days of March 2009 that the former Takbo.ph site came up with a Q&A portion for the April Fools Edition. It was entitled “One Day Only: Ask Timmy.” Back then as a newbie, I thought who is this guy, TIMMY?! I tried to hangout most of the time at the site and join the chat in shoutbox. And there he was, ever present TIMMY. For this, he was given a tribute by having his own Q&A portion for a day.But wait, there’s more! Timmy is one of the runners that I got to know and treasured as a friend. 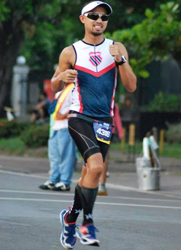 This guy is a graduate of Ateneo de Manila and currently works as a Marketing Officer for Running-Master Sports Corp (Mizuno). He is a very loyal friend, funny, smart and very passionate with his sport. He is known to many as their manager as he discovers talents left and right - from Argo to Julie HotLegs. 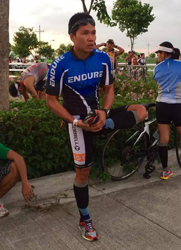 Background: Bong Zandueta, fondly called BZ by his teammates, is no stranger to multisport. 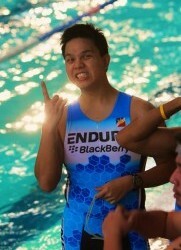 Having numerous aquathlons under his belt, it was just a matter of time before he plunged into triathlons. His performance at the Animo Triathlon proved that he will be a force to reckon with in future events.This heartthrob of Takbo.ph is not just a champion breaststroker and an accomplished marathoner, he is also a professional-grade bowler who averaged a score of 200 during his prime - he even has uneven-sized thumbs to prove this! He is driven and committed in almost anything that he does. It is no wonder that he is well-respected and well-liked in the running community. As one of the “Masters” of Team Endure, he is often sought out to give sage advice to other members about almost anything under the sun ranging from training to love life with his trademark “Arrneeow” accent.